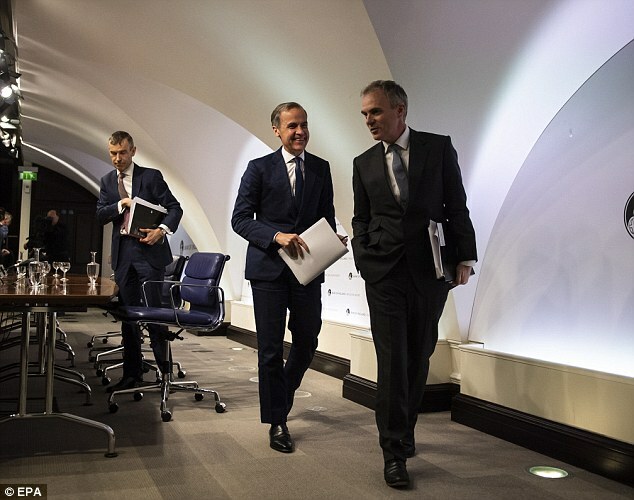 The deputy governor of the Bank of England has apologised for claiming Britain’s economy has ‘passed its productive peak’ and is now in the ‘menopausal’ era during an interview. Sparking outcry on social media, Ben Broadbent used the language to suggest the UK’s decade-long productivity lull following the digital revolution was akin to the slowdown at the end of the nineteenth century between the ages of steam and electricity. Mr Broadbent said the UK’s economy is this time in a fallow period between what was the height of the digital era and the next technological advancement, which could be in the field of artificial intelligence. Mr Broadbent said: ‘I’m sorry for my poor choice of language in an interview with the Telegraph yesterday and regret the offence caused. ‘I was explaining the meaning of the word “climacteric”, a term used by economic historians to describe a period of low productivity growth during the nineteenth century. The UK saw productivity fall by 0.5 per cent in the first three months of this year. Over the same period, pay packets were given a 2.9 per cent boost. The former Goldman Sachs economist’s interview yesterday with The Telegraph was met with criticism on social media. 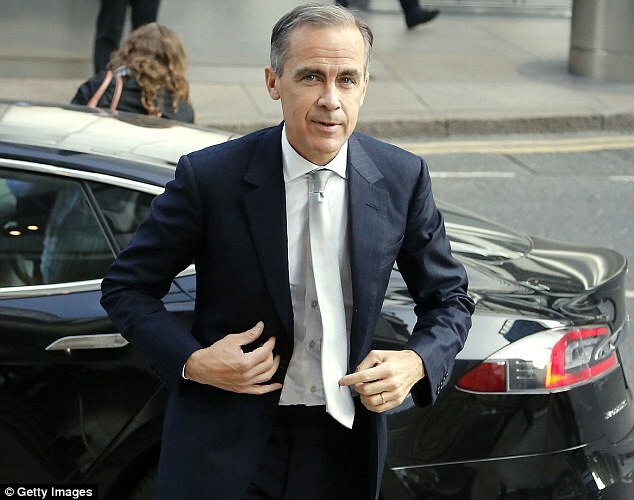 Another user on Twitter claimed the term suggested the Bank’s governor, Mark Carney, had brought about ‘little culture change’. One said the choice of words was ‘truly disgraceful’. Mr Broadbent said that what Britain’s economy was currently experiencing was similar to the ‘climacteric’ period seen in the nineteenth century. He said the term ‘climacteric’ had been borrowed from biology and used by economists to describe when ‘you’ve passed your productive peak.’ It means ‘menopausal but it applies to both genders’, he said. Mr Broadbent added: ‘I once got an economist to explain the origins of the word “climacteric”. Mr Broadbent said Britain’s productivity lull was causing sluggish economic growth and largely stagnant wages. In turn, tax receipts are dwindling and consumers are cautious when it comes to spending their money. With productivity levels lower than expected, the Office for Budget Responsibility cut Britain’s growth forecast from 2 to 1.5 per cent last year. At the same time, the OBR said growth would average out at a little over 1.4 per cent a year from this year to 2022. Last Thursday, the Bank’s Monetary Policy Committee, voted to keep interest rates on hold at 0.5 per cent. Britain’s gross domestic product fell by 0.1 per cent in the first quarter of this year, down from 0.4 per cent in the previous quarter, having been dragged down by poor output in the constructions and manufacturing sectors.